When you are out adventuring, hiking, or backpacking, it seems as though you never eat vegetables. Why is that? Well it is because they are hard to pack, they are heavy, and quite frankly we disregard them even in our normal non adventuring lives. 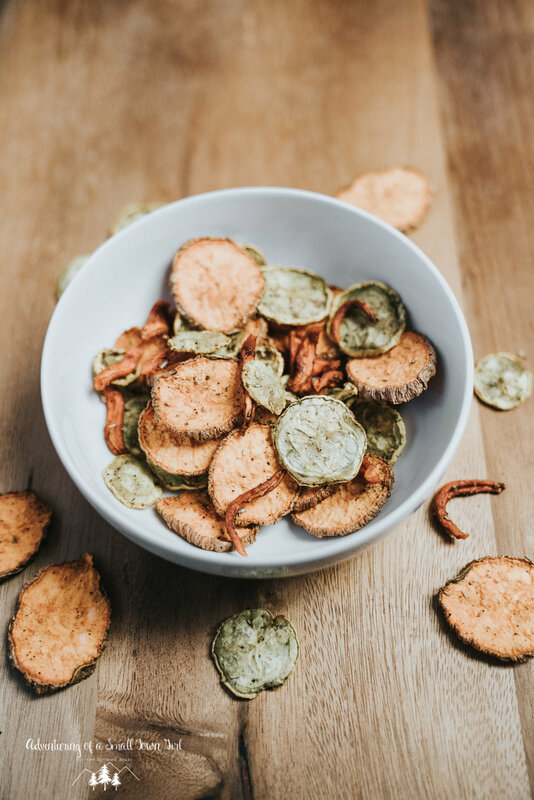 So, I decided to share my all time favorite vegetable chips with you guys. These are lightweight, yummy, and healthy. They are the perfect backpacking recipe snack, but they are also awesome for adventuring or on the go. Recently I have began to like rosemary. I found it a little weird to, but hey I am going with it :) If you don't like rosemary just eliminate it from the recipe. Using a mandolin (I use this one) or very sharp knife, slice all your vegetables so they are 1/8 inch thick. 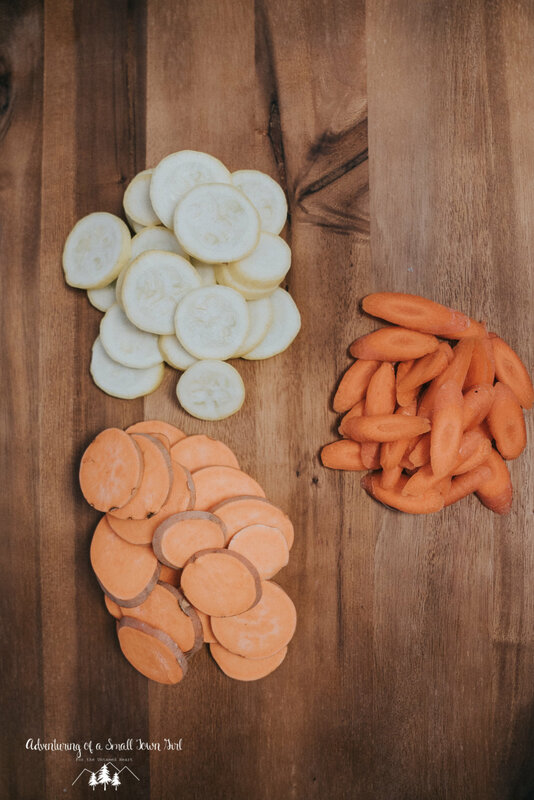 Place all vegetables in a large mixing bowl. Toss the slices with olive oil, salt, pepper, and rosemary. 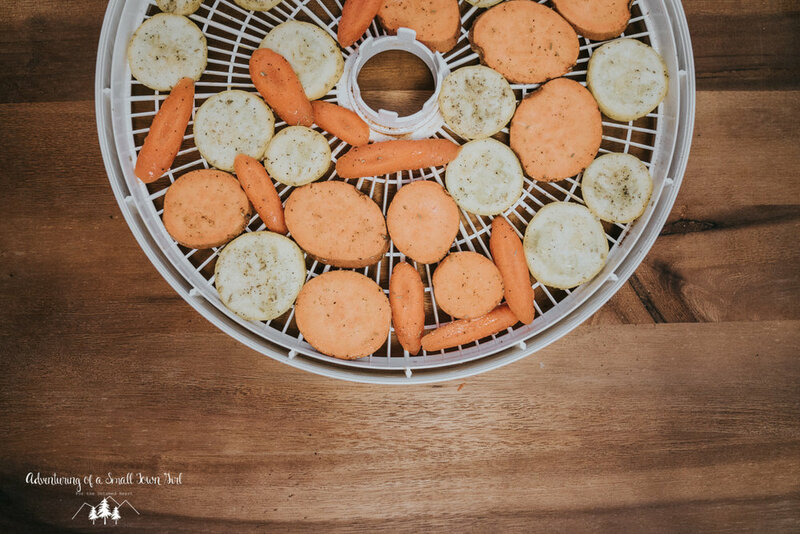 Once thoroughly covered, place in a single layer on your dehydrator trays. Dehydrate chips at 135°F for 8 to 12 hours, until light and crisp. Let cool before packing in resealable plastic bags or glass jars. Using a mandolin (I use this one)or very sharp knife, slice all your vegetables so they are 1/8 inch thick. Sprinkle the vegetables with salt, pepper, and rosemary. I hope you all enjoyed this recipe. If you tried it don't forget to leave a comment and share with your friends. It really supports this small little blog of Adventuring of a Small Town Girl. Wishing you nothing but fun, healthy, beautiful adventures!